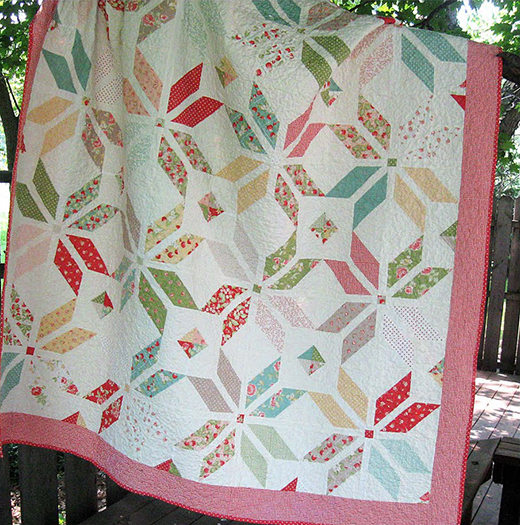 This Summer Breeze Quilt designed by Melissa Corry for Modabakeshop, The Pattern is available for free. "I am so excited to share with you all the release of my very first pattern!!! I call it Summer Breeze!!! I am just thrilled with this quilt and had so much fun with the process of pattern writing. I hope you just love it as much as I do."